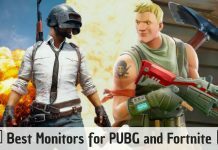 Whether you are a programmer or a gamer or would like to watch movies, more than one power monitor fits every need. 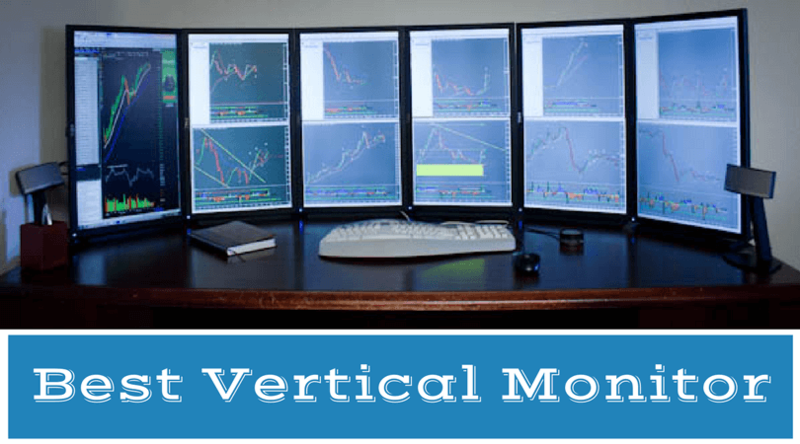 Moreover, if one of them is vertical, you will be able to enjoy your experience even more!We’ve compiled a list of the best vertical monitors available in the market today so that it is easier for you to make a choice! One of the best in terms of clarity and performance, the Dell UltraSharp is your perfect choice if your budget is high. It provides an ultra-wide 178/178 degree viewing angle and is one of the most popular choices on Amazon today. The portrait monitor boasts of color precision with QHD 2560 x 1440 resolution. Users have reported color consistency across the viewing angle. You can customise your window layout based on your viewing preferences, and the Easy Arrange feature will align all tiles perfectly. 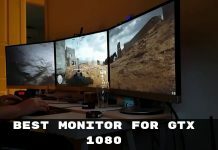 This is great for a multi-monitor setup. You can use it any way you want to! It provides numerous adjustments in pivot, tile, height, and swivel. The pivot is extremely smooth, enabling you to rotate 90 degrees clockwise as well as counter-clockwise. All monitors are factory tuned at 99% sRGB with deltaE < 3. 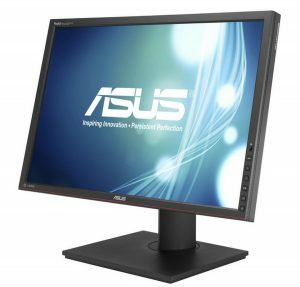 It has an ultra-thin bezel to give you a seamless experience when you are working with more than one monitor. It does not come with an HDMI cable. It has USB 3, DP, and HDMI ports. It comes with Premium Panel Guarantee, which means the brand promises to replace the monitor in case you experience even one bright pixel. 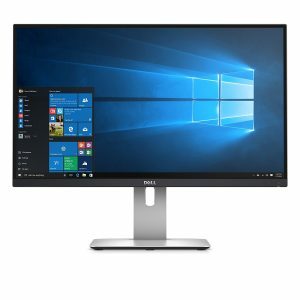 The Asus ProArt is among the most popular vertical monitors out there giving close competition to Dell. It is HDCP supported and provides a horizontal and vertical viewing angle of 178 degrees. It has 4 USB 3.0 ports. The brand claims that this product is the first one in the world to come with this provision. It is a matte-finish screen. It provides 1:1 picture scaling. It is pre-calibrated, so you don’t have to worry about the color difference. It delivers 100% sRGB color reproduction. It has 16:10, 1920 x 1200 optimal HD A+ IPS panel. It also offers picture in picture with measurement overlays on the screen. The stand that the monitor comes with is built well and is quite sturdy. It does not have built-in speakers. It has various ports including VGA, HDMI, DisplayPort, and DVI. The monitor comes with a 6-foot long DisplayPort cable. 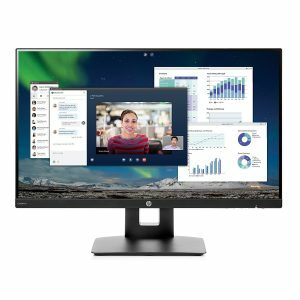 If you are looking for affordable vertical computer monitors that rotate 90 degrees, the HP FHD IPS monitor will not disappoint. It is a diagonal full-HD monitor with micro-edge IPS. The aspect ratio provided is 16:9 with 2 million pixels, which give vibrant image quality. The response time is 5 minutes with a refresh rate of 60 Hz. It has 72% sRGB coverage and 10M:1 dynamic contrast ratio. It comes with integrated speakers, but many users say that the volume is quite low. You can turn the screen to 90 degrees, but users have reported difficulty in adjusting the stand accordingly. You must first raise the monitor and then rotate it from landscape to portrait. Once you get the hang of it, you will notice that it is smooth and simple. The bezels are tiny and may go unnoticed. The vertical monitor comes with an AUX cord and an HDMI cable. In a fast-moving video, the chances are that you may see blurring now and then. 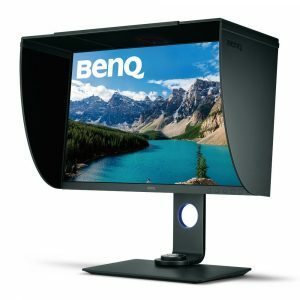 The BenQ Vertical Monitor comes with 99% Adobe RGB color space, along with IPS technology, making it the best choice for photographers who are looking for exceptional clarity. It has hardware calibration with the Palette Master Element Software. This lets you tune the color and maintain it according to your preferences. It has a shading hood, which reduces glare in most environments. The OCD controller lets you choose and switch from Adobe RGB to sRGB to Black & White modes efficiently. It has a 10-bit display that has the ability to produce about one billion colors. It has 14-bit 3D LUT for perfect blending accuracy. The resolution is 2560 x 1440 QHD, which promises ultra-high pixel density. The screen has a matt finish. It is a pricey monitor but does complete justice to the price tag, as reported by the users. However, you should make sure you buy this one only if it suits your requirements. 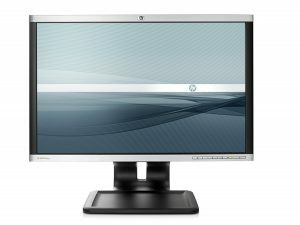 With a resolution of 1680 x 1050 and 1.76 million pixels, the HP widescreen wide flat panel screen is fairly priced. It has VGA and DVI-D outputs. 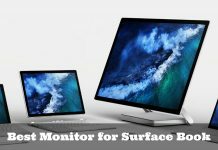 Thus, if you are looking to connect it with your current monitors through other means, this may not be the right choice for you. It rotates 90 degrees into portrait mode quite seamlessly. You can remove it from its mount and attach it to another mount if you wish to. The display has the anti-glare feature. It does not have an HDMI port but has USB, DisplayPort, VGA, and DVI-D ports. All users say that it is definitely worth the modest price tag and delivers more than what’s expected in terms of color and performance. 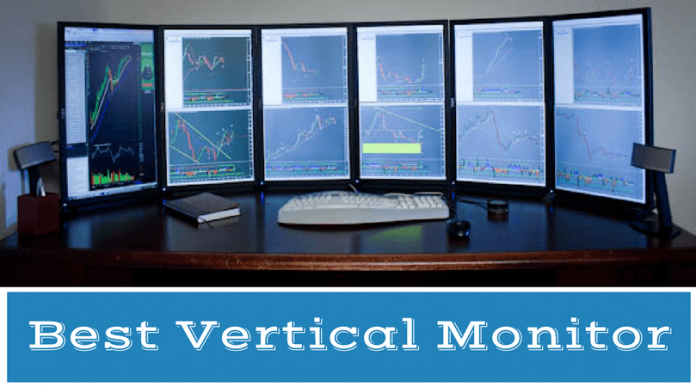 Well, this is our list of the best vertical monitors today. You may choose the right one for you based on your preferences, requirements, and budget. If you have any other choices, we’d love to know hear about them!